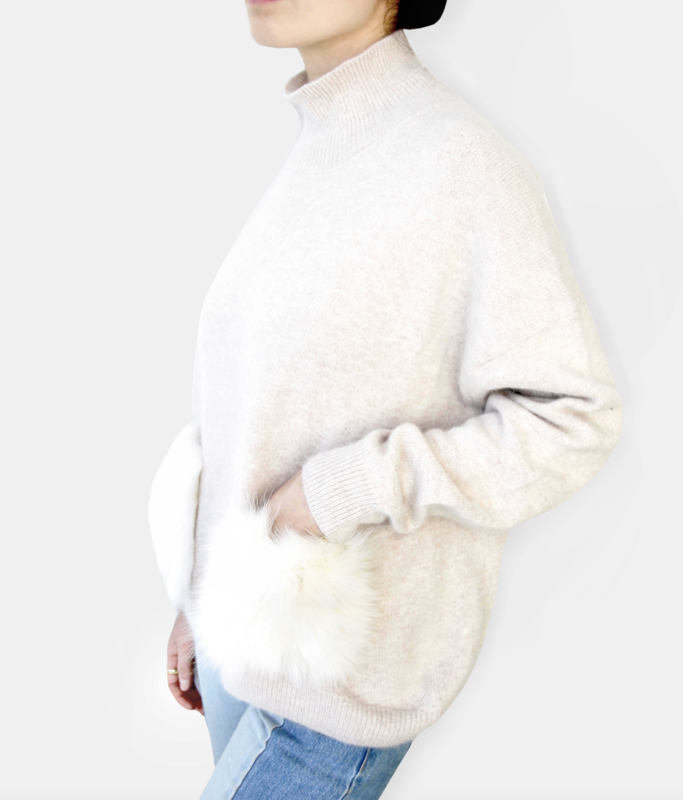 Made from 100% cashmere, our long sleeved cashmere knit jumper is a timeless wardrobe staple. 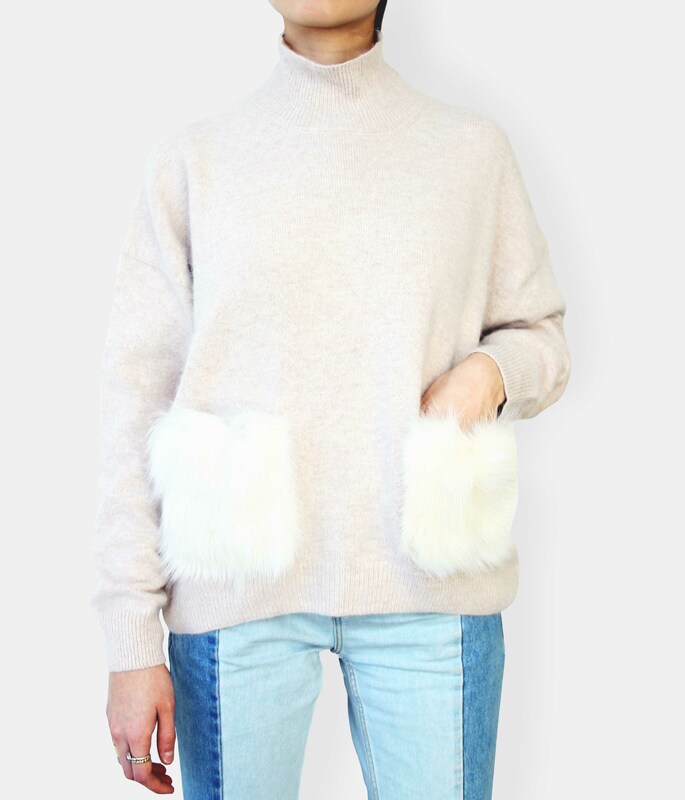 With a turtle-neck design, ribbed hem details and two vintage fur pockets, this jumper can be worn for work and play. Pair with cropped trousers or layer over a patterned dress. Designed to be loosely fitted. Also available in grey and black. Made from 100% cashmere, the Lilly is soft and comfortable, just what you need to cosy up this winter. Whether you're heading out on the slopes or just wearing it everyday, the Lilly will keep you warm and stylish. Wear it any time, any day, with whatever you want. Curated Crowd's first capsule collection designed by our founder, Ada Zhao. Designing an in-house collection had always been in the pipeline, and finally in 2019, we are able to share with the world what we've been up to. 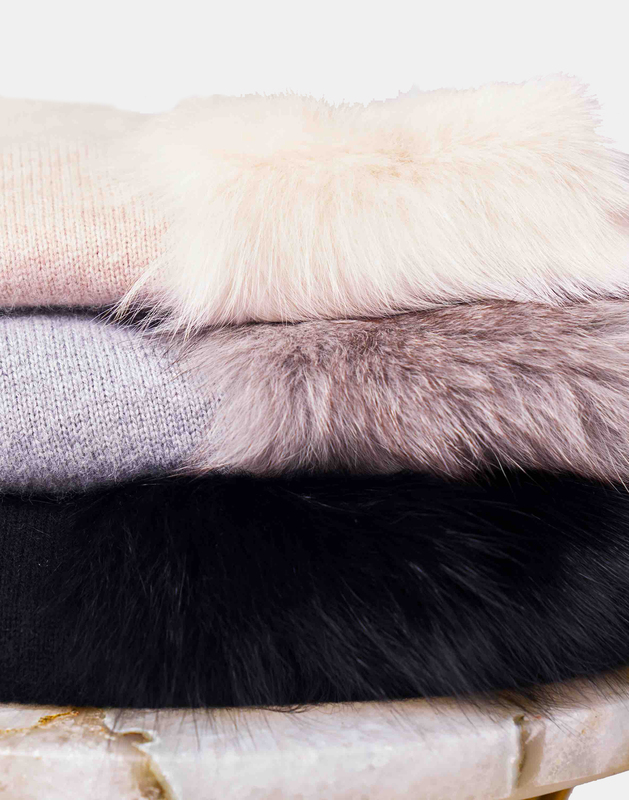 The softness of the cashmere, the detail of the vintage fur pockets placed in the front. 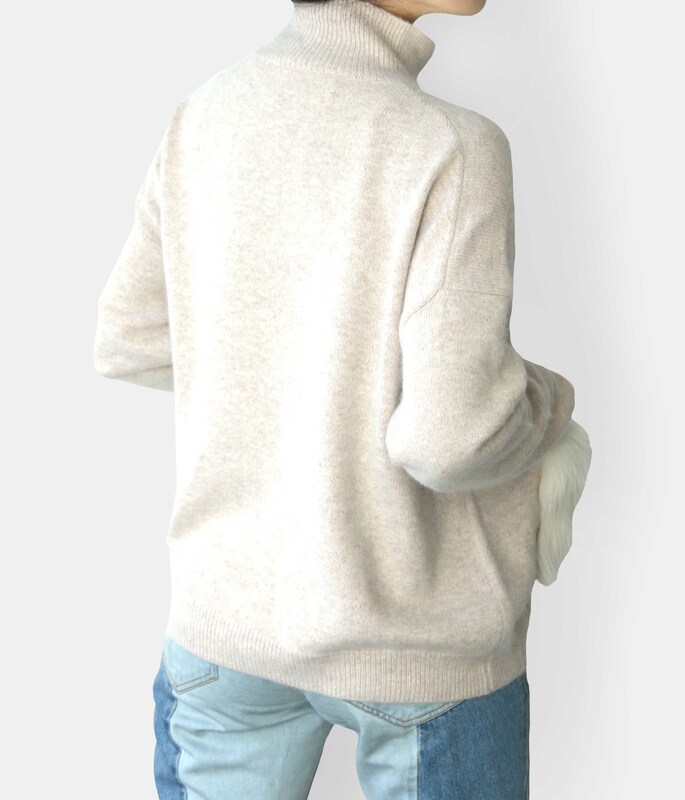 This jumper is crafted with care from premium quality cashmere.